Optomen TV / Shobie & Co. 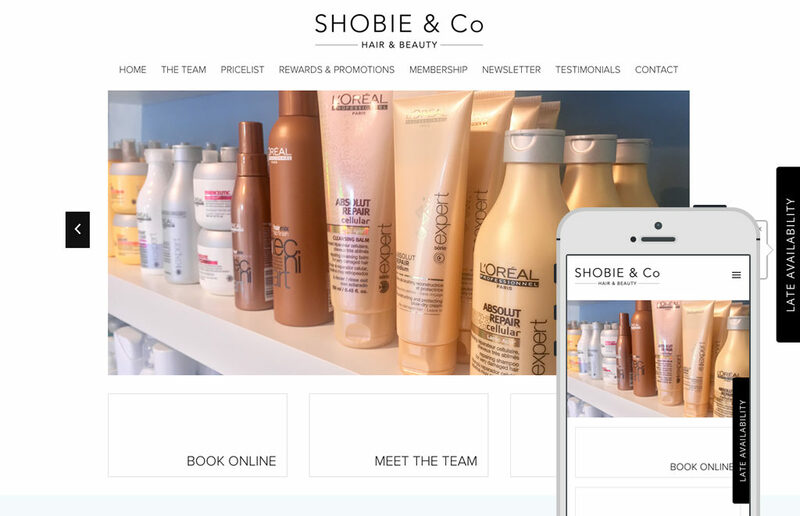 The re-launch of Sidcup salon Shobie & Co saw Resknow working alongside prestigious production company Optimum TV to create a clean, minimalistic website that is fully responsive and able to cope with last minute bookings and enquires. 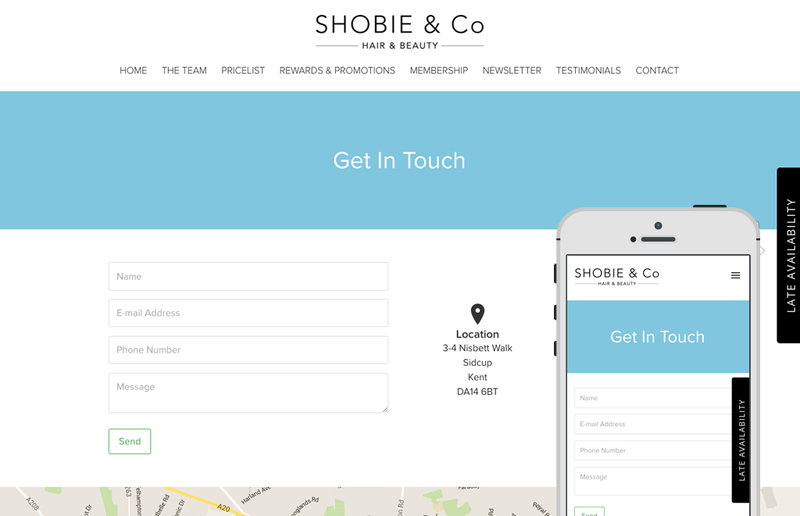 Shobie & Co, previously known as “Shobiz”, is a hair and beauty salon in the heart of Sidcup high street. The salon took part in Mary Portas Secret Shopper show, which helps businesses get back on their feet and as a result, was advised to re-brand completely. The production company behind the Channel 4 show, Optomen TV, saw the importance of a new responsive web design that matches the essence of the remodelled shop and hired Resknow as the developers. The brief was to develop a minimalistic design that is user-friendly and highly responsive, with an integrated booking system for clients. 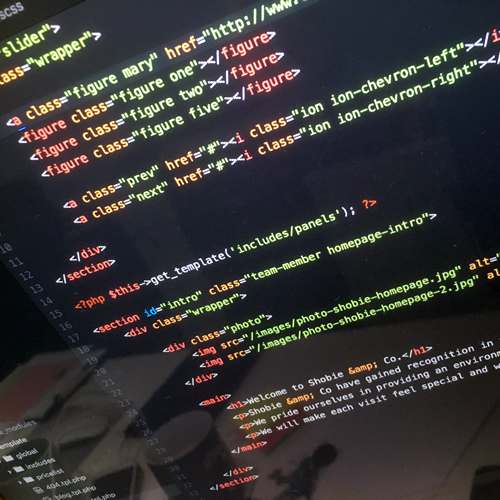 From start to finish, the newly branded website was up and ready to use in 4 weeks. The integrated booking system sits on the side of each page, in a tab that opens and closes with ease. Clients can now check for late availabilities, request an appointment and even view their stylist’s schedule. 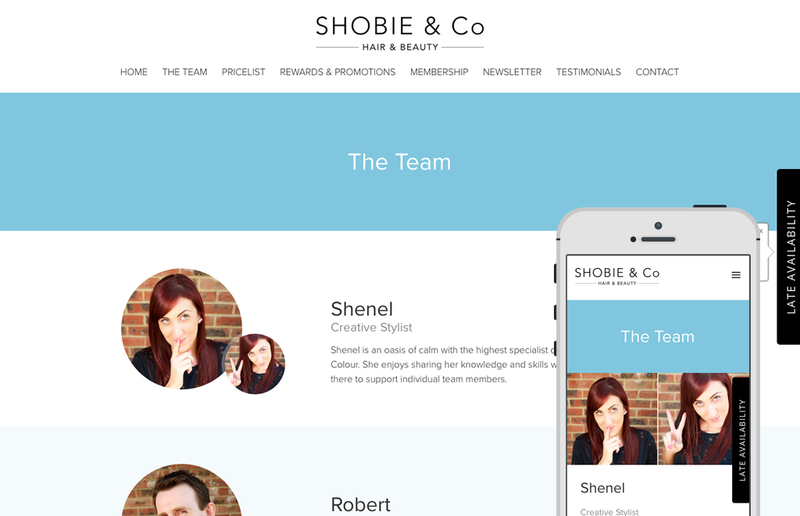 The rest of the site is also well mapped out, with a gorgeous slider on the homepage to feature images, friendly content to go with the salon’s new personality and an all-important team page that allows visitors to get to know a bit about the hairdressers and stylists before they actually call in or book. Visit Optomen TV / Shobie & Co.